Like many famous health resorts in the world, Cieplice also has its own theater. In the Cieplice Health Resort’s Theater, theater performances, concerts and cabarets are held throughout the year. In the summer months, the place of frequent concerts is the antique concert shell located in the Zdrojowy Park. The neoclassical object impresses with its shape and interior design. The building funded by the Schaffgotschs was designed by Albert Tollberg. and restored. It has a fully preserved historical carpentry decor in the form of balconies, boxes, columns, pilasters, balustrades and a wooden ceiling with antique paintings. The original interior design was at the moment of its splendor an example of a refined concept of a small but refined theater hall, which is an example of a good taste of a designer composing elements of a renowned health resort. In the sixties of the twentieth century, the last renovation and modernization works were carried out, seriously interfering with the interior design of the theater. The visual artist Stanisław Brodziak has done all the painting - wall decorations. He carried out conservation of the mural on the plafond and made contemporary paintings on the panels of the balustrades and walls of the theater's foyer, hiding the original griffins painted on paper. For forty years, no renovation works were carried out at the Health Resort’s Theater, the building was subject to degradation and destruction. In 2006-2011, the Health Resort’s Animation Theater received funds from the European Economic Area, the Ministry of Culture and National Heritage and from the city of Jelenia Góra for the extension, renovation and modernization of the Health Resort’s Theater together with its surroundings under the program "Protection of European cultural heritage ...". The theater has been restored to its former glory, and at the same time, using available technologies, it has become one of the most modern scenes in Lower Silesia. The original color concept of the interior maintained in a dark blue tone emphasizing its intimacy was also returned. Under the paintings on the balustrades of the sixties, decorative painting elements were discovered with the motif of two griffins facing each other, belonging to the Pompeian style ornamentation, especially popular in Prussian architecture at the beginning of the 19th century. 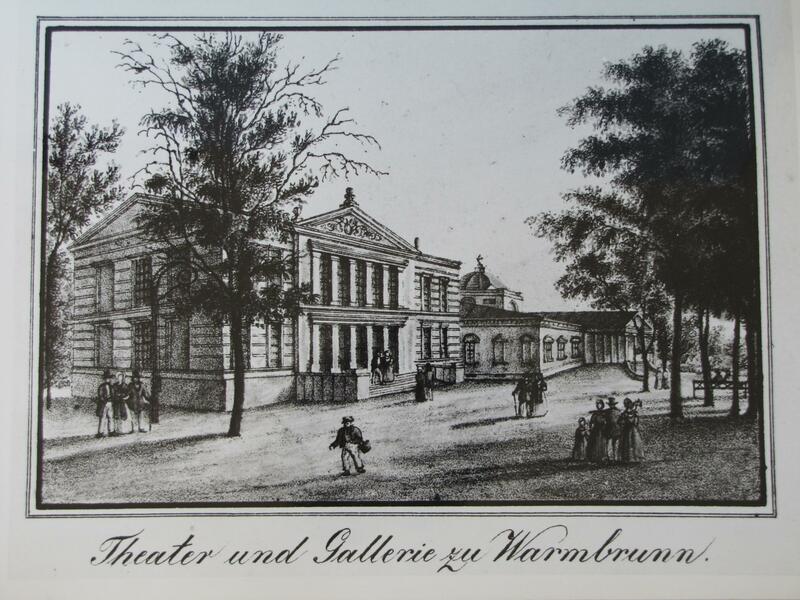 During the renovation works, the idea of ​​illusionistic painting, strongly shaded, imitating rich bas-reliefs or stucco elements, referring to the Swedish theater in Dronttingholm, one hundred years older than the Teatr Zdrojowy in Cieplice, was applied. During the reconstruction of the ceiling, the decision was made to reconstruct the original theater decor of the ceiling in the form of a velarium - traceably preserved in the preservation works under maintenance. 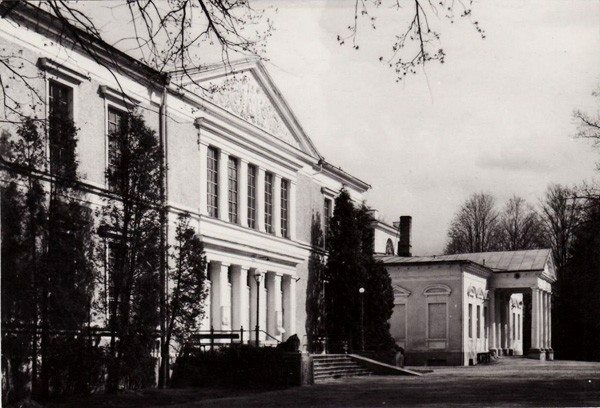 The Health Resort’s Theater, which is about the cultural heritage of Lower Silesia, was included in the common European heritage at the time of Poland's entry into the European Union and the conservation works carried out restored the former glory and cohesion of the theatrical interior. The restored theater has become a showcase of the Zdrojowy Park in Cieplice, which undoubtedly influences the image and attractiveness of the Cieplice Health Resort in terms of tourism. The Health Resort’s Animation Theater broadened the cultural offer of the theater, directing it not only to the younger audience but also to adult spectators - of Jelenia Góra, as well as for patients and tourists coming to Cieplice.